There’s no getting away from water at the moment – there’s so much of it around, we might as well make the most of it. On Boxing Day, a hardy group of five set out from Ashburton in driving rain to walk off the previous day’s indulgences. I had planned two possible walks, one above Ashburton which gives great views in clear weather and one in a river valley with plenty of protection from wind and rain. Needless to say, we opted for the latter and headed over towards the Bovey valley. Gaia was smiling on us and the rain had stopped by the time we set off, only to return right at the end of the walk. We even had glimpses of blue sky when we paused for lunch on a clam bridge. But the sky was a side-show to the raging, rushing rivers we walked beside. Can one ever get enough of watching and listening to torrents of fresh running water? It’s exhilarating and fascinating, but it’s also good for you – physically and emotionally (as if the two could be separated!). 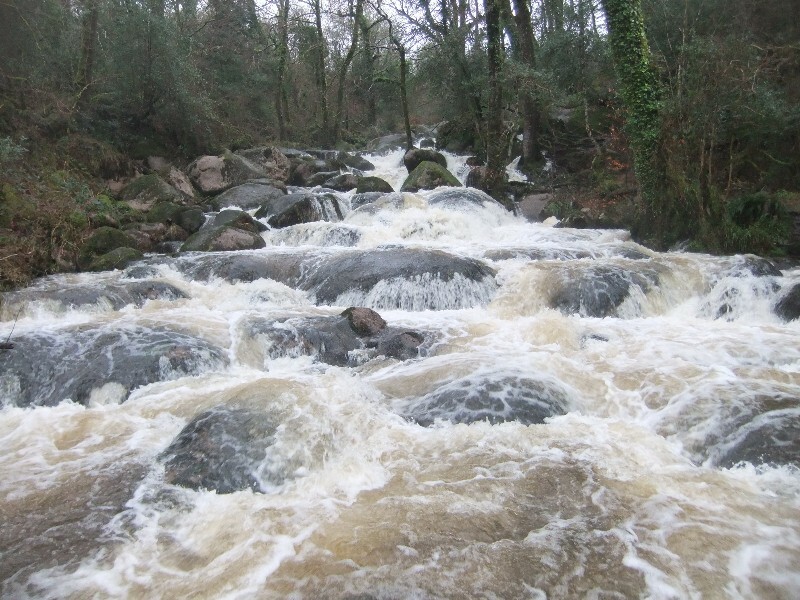 Moving water releases negative ions which are demonstrated to make us feel better, as well as improving our immune system, brain function etc. 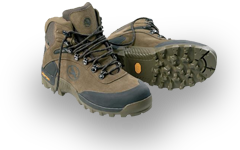 They increase relative oxygen levels in the blood and facilitate the breakdown of serotonin. Which is why waterfalls and beaches are such popular places to be, why a shower is more energising than a long soak in a bath and why one can buy negative ionisers for indoor use – they’ve been used in submarines, classrooms, space rockets and the sleeping quarters of athletes. 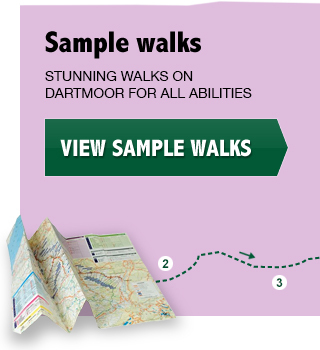 But who needs to buy a gadget when we have Dartmoor on our doorsteps? Home to hundreds of streams and rivers, it’s quite hard to walk there without being exposed to running water (that’s what most of the paths are at the moment!). 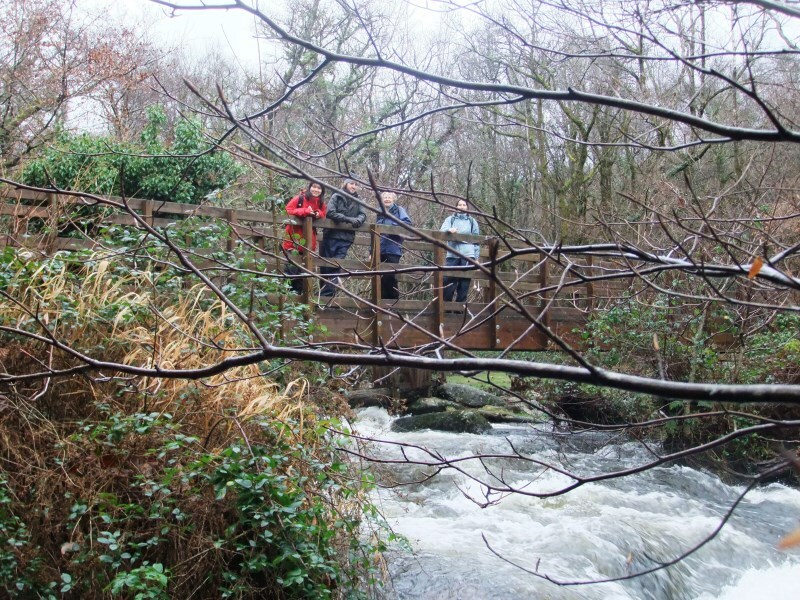 We all felt great after our time walking by the Becka and the Bovey and I’d recommend it to everyone during these grey winter days. 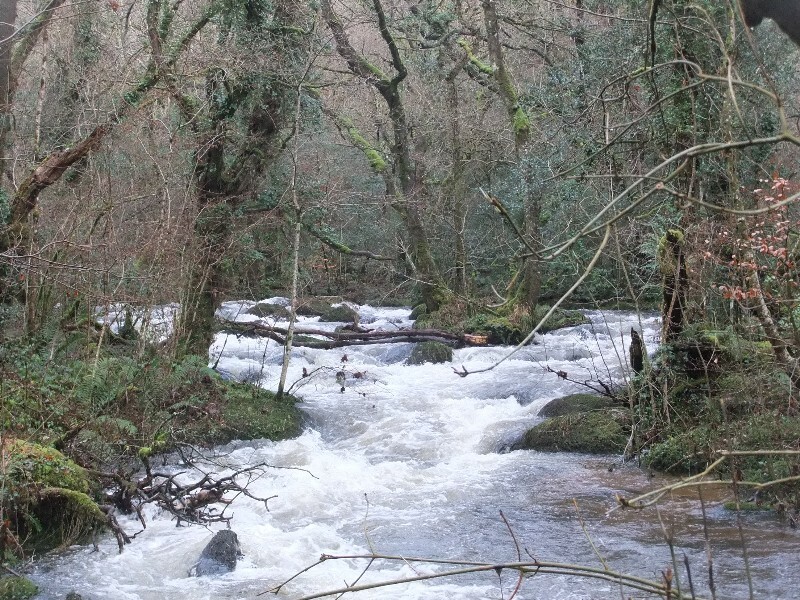 Riverside walks can be done even in grim weather (with the exception of hurricane force winds) – by the Dart at Holne and Hembury, by the Teign below Castle Drogo and around the network of paths in the Bovey valley – so drag yourself and your family out even if it looks really uninviting. You’ll all feel better for it.